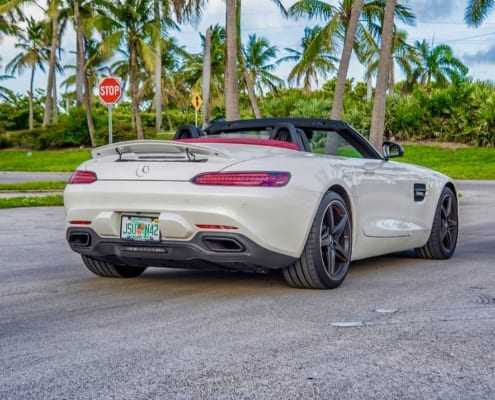 On our fleet at Pugachev Luxury Car Rental in Miami we have am Mercedes-Benz GT AMG Roadster specially for our Mercedes-Benz fanatics. 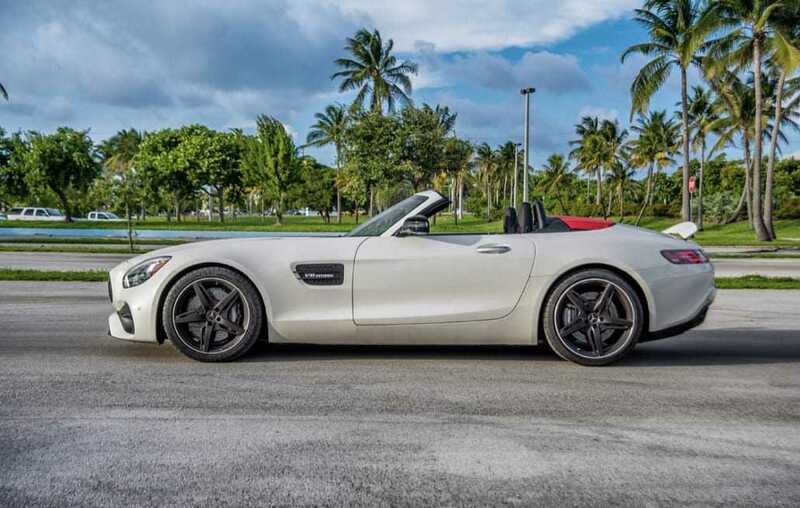 This compact convertible will take your rental experience to the whole another level. 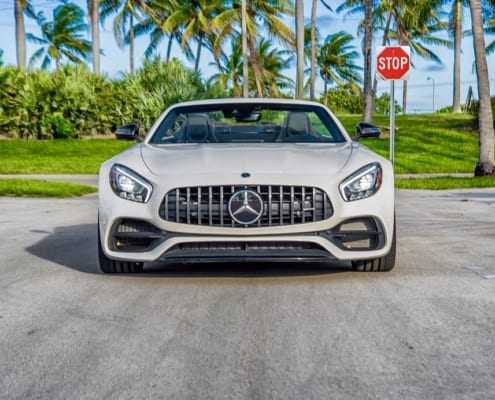 It’s lightweight aluminum frame and just the right amount of the aggressiveness and loud 4.0L AMG V8 Biturbo engine along with various AMG specs and features greatly improve the overall performance and provide unforgettable time behind the wheel. 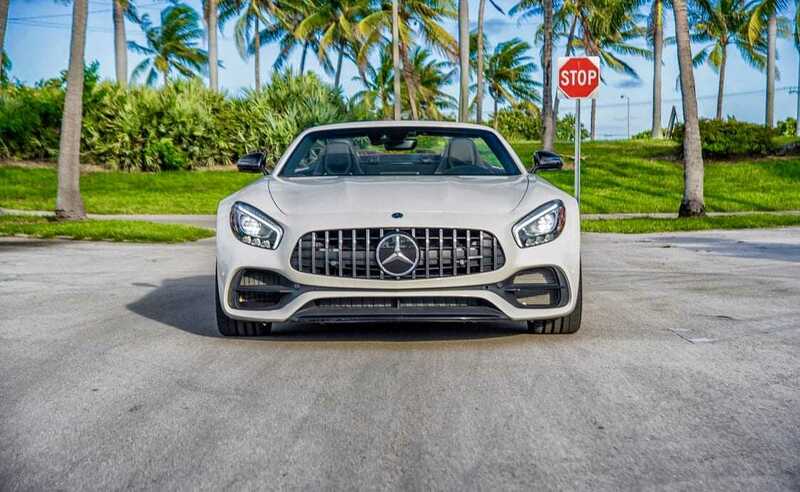 There is no better, faster and steadier racing car in this range which could compete with the GT C AMG. 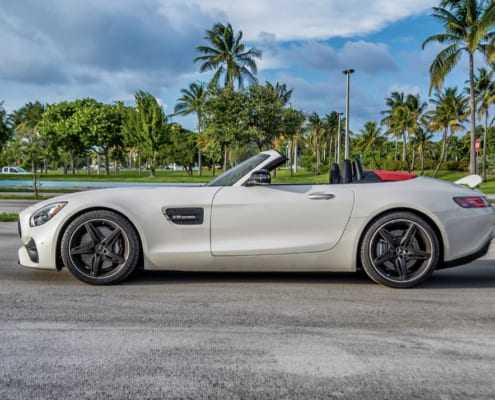 The German Biturbo engine produced 515 horsepower and strikes from 0-60mph just in 3.7 seconds. 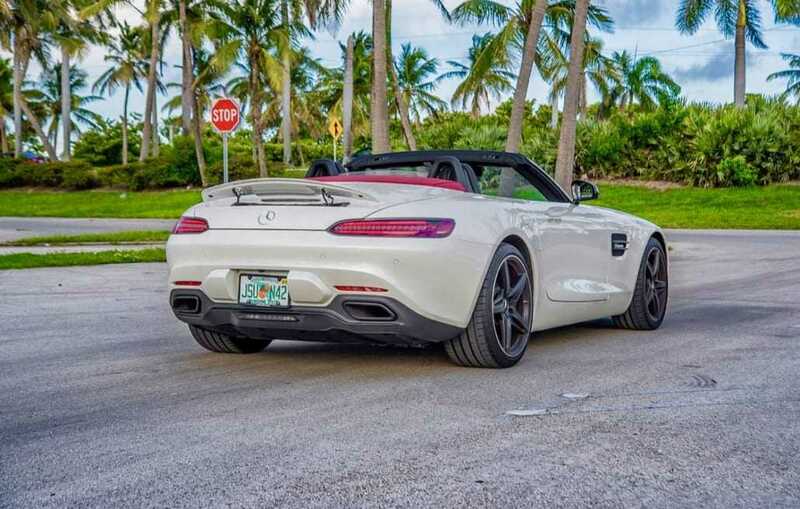 If you’ve any queries or you want to rent Mercedes-Benz GT AMG Roadster call or text us at 786.859.7876.